Megan & Hank are going to be married this summer at one of the most gorgeous venues in Downtown Baltimore.. Mt. Washington Mill Dye House! AHH we can’t wait! 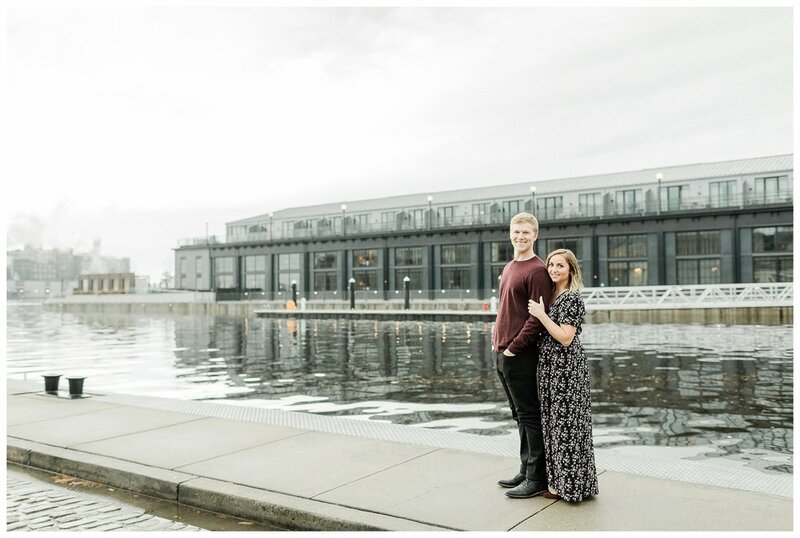 These two live right in the heart of Fells Point so it was special to get some professional shots of them where they have already made many memories together and where they will continue to make more memories together! 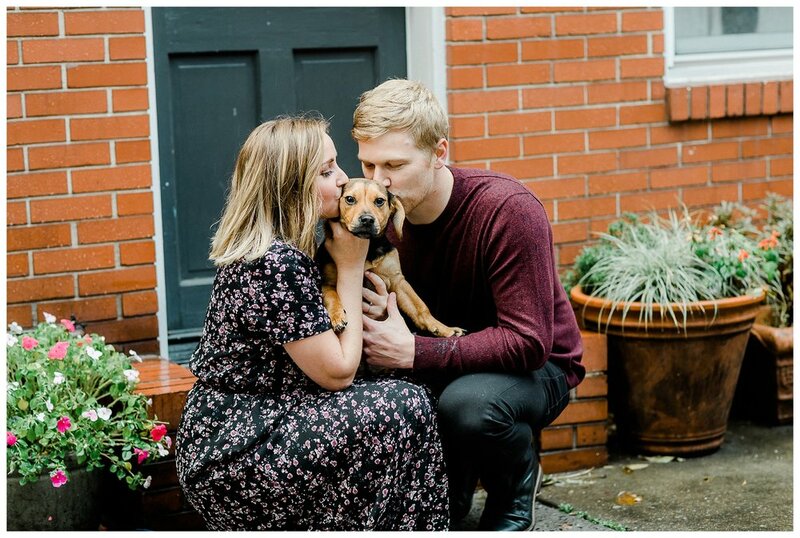 Especially walking their adorable pup around town! 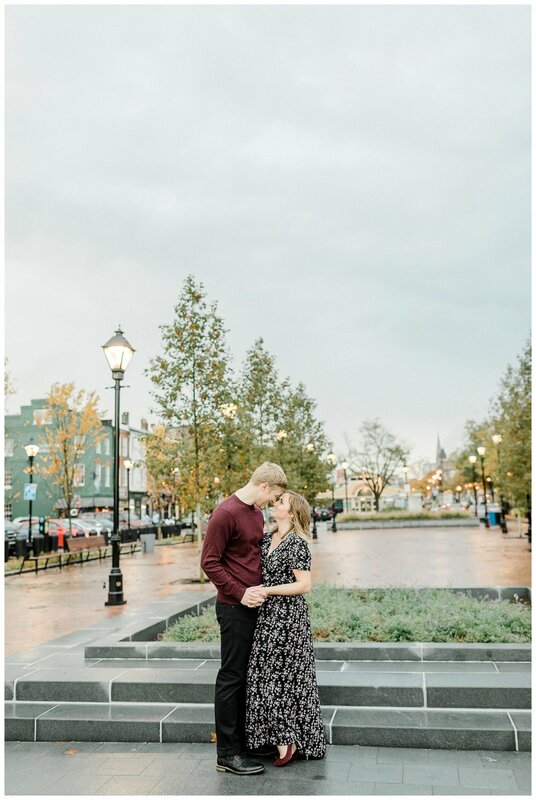 It was drizzling for part of our session, but it made Fells look even more magical and I love how the street lights were glowing! 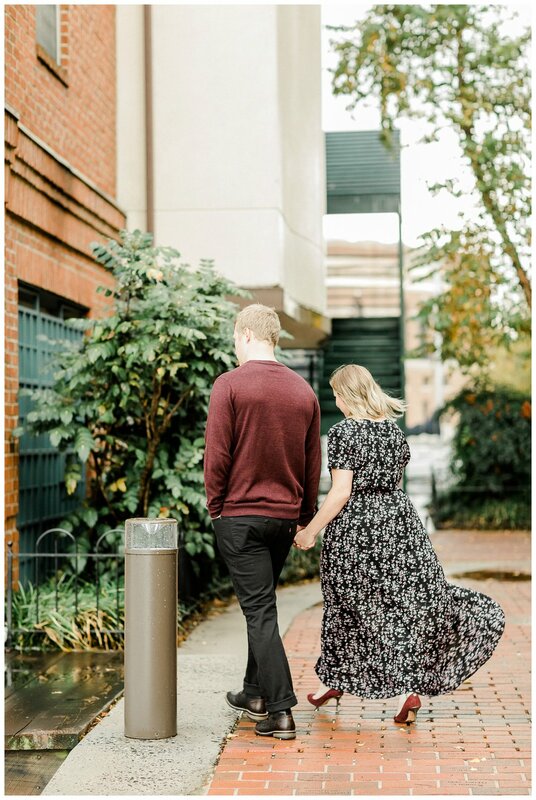 I hope you enjoy a glimspe of their engagement session and I can’t wait to show off their wedding images this summer!